Our keynote speaker John Bruton, the former Irish Prime Minister who helped transform the Irish economy now delivers keynotes with a focus on economic development, politics and policy. His professional experience and his many international talks make him an ideal keynote speaker. John Bruton is a former Irish Prime Minister (Taoiseach), who helped transform the Irish economy into the “Celtic Tiger,” one of the fastest growing economies in the world. In the year before he took office (1993) the Irish economy grew by 2.7%. During his time as Taoiseach (1994-1997), the Irish economy grew at an annual average rate of 8.7%, peaking at 11.1% in 1997. John Bruton was also deeply involved in the Northern Irish Peace Process leading to the 1998 Good Friday Agreement, under whose terms a conflict of allegiances dating back to the seventeenth century was resolved. While Prime Minister, Ambassador Bruton presided over a successful Irish EU Presidency in 1996 and helped finalize the Stability and Growth Pact, which governs the management of the single European currency, the Euro. Mr. Bruton addressed a joint session of the US Congress on September 11, 1996, as only the 30th head of state or government of an EU country to do so since 1945. He was probably the only President in office of the European Council to have addressed a joint session of Congress. Further, he represented the EU at Summit meetings with the President of the United States and with the Prime Ministers of Canada, Japan, China andKorea. 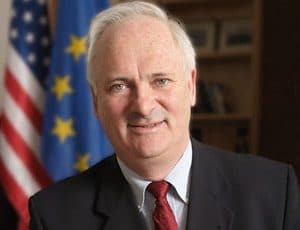 Before being appointed Ambassador to the United States, John Bruton served as a leading member of the Convention that drafted the proposed European Constitution, which was signed in Rome on October 29, 2004. He strongly supported proposals to give the general public a more direct say in the choice of EU leadership by allowing the public of the 27 EU Member States directly to elect the President of the European Commission. 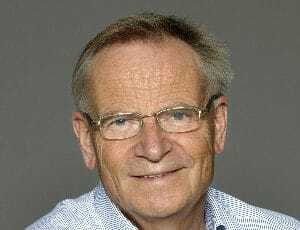 From 1999 until his appointment as Ambassador, he was one of ten Vice Presidents of the European People’s Party, which brings together the leaderships of 74 European political parties, many of whom are in Government in their countries. 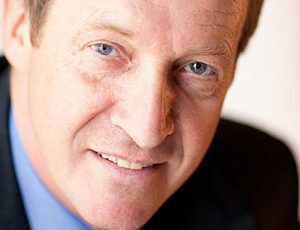 Since 2001 he has spoken on world, the European and Irish economic developments to influential business and political audiences in New Zealand, South Africa, Chile, Canada,Argentina, Mexico, Peru, Colombia, Costa Rica, Ukraine, Turkey, the United Arab Emirates and numerous EU Member States. Since taking up his position in Washington in 2004, John Bruton has met with the President and former Presidents of the United States and visited with governors, mayors, business leaders and students in over 20 US states to explain that the expanding European Union is good for the US economy and good for American jobs. In Washington,DC, Ambassador Bruton has had one-to-one meetings with over 250 Members of Congress to explain major EU developments and discuss the importance of the EU-US relationship in matters of trade, counterterrorism, public health, energy, the environment and the promotion of peace, democracy and human rights around the world. John Bruton was first elected to the Irish Parliament (“Dáil Éireann”) in 1969 at the age of 22 as a member of the Fine Gael Party, becoming Party Leader in 1990 and leading it into government in 1994. He previously served as Ireland’s Minister for Finance (1981-1982 and 1986-1987); Minister for Industry & Energy (1982-1983); Minister for Trade, Commerce & Tourism (1983-1986); and was Parliamentary Secretary (Junior Minister) from 1973-1977. He has also been opposition spokesman on Agriculture and on Education. 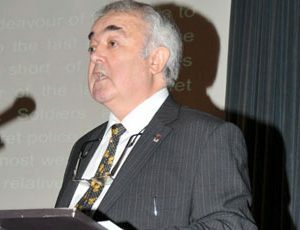 As Minister for Finance, he began the task of overcoming a major budget deficit crisis forIreland in 1981 and made proposals to overhaul budgetary procedures to allow long-term planning and a realistic appraisal of the choices facing legislators. As Minister for Industry he prepared and had enacted into law the comprehensive industrial development legislation, which underpins Irish growth to this day, and undertook a major overhaul of Irish company law. He resigned his seat effective November 1, 2004 to take up his appointment as EU Commission Head of Delegation in the United States for a five-year term until October 2009. John Bruton was born in 1947 and graduated from University College Dublin with a Bachelor of Arts degree in economics and politics in 1968 before studying to become a barrister. He was called to the Bar of Ireland in 1972. He holds Honorary Degrees from Memorial University of Newfoundland and the National University of Ireland. He is married to Finola Bruton and has 4 adult children. The Rise of the European Union.